It could be the use of colors or maybe with the flowers incorporated into the design that made a tattoo piece distinguishable to be part of this collection. You may be wondering what I’m talking about here, everyone, it is just feminine tats. Feminine tattoos are tattoos that just by one look, you will know immediately that it is meant to be wore by women. Although I’m not saying that men cannot have one, it is just that it may look awkward– if you know exactly what I mean. Just like what I have said above, the identifying factors of a tattoo to be feminine is the choice of color combinations which are stereotyped to women and the supplementary subjects that connote femininity. Extra designs like flowers, diamonds, dolls, and butterflies further justify that the particular tattoo are meant for the ladies. Feminine tats are definitely great choices for women out there wanting for awesome inks. Again, I did not say that the collection is exclusive only for girls so for the interested guys, you have the freedom to indulge as well. 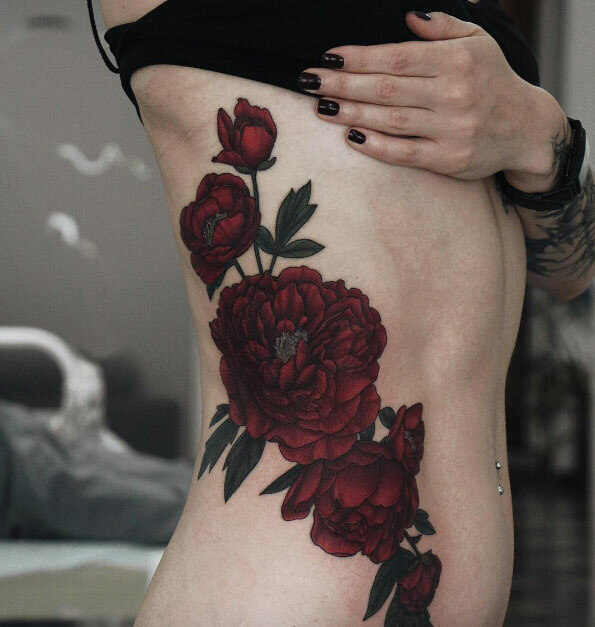 Enjoy these 32 Gorgeous Feminine Tattoos For Women collection! You may also check 30 Feminine Lace Tattoos For Women.